Editor’s Note: The first guest blogger in our series “The Wire at Ten” is Carlo Rotella, noted scholar, public intellectual, playground point guard, and, not incidentally, Director of American Studies at Boston College. (Full disclosure: he was a couple years ahead of me in graduate school.) A regular contributor to the New York Times Magazine and an op-ed columnist for the Boston Globe, his latest book, published this fall, is Playing in Time: Essays, Profiles, and Other True Stories. “The Case Against Kojak Liberalism” is excerpted from his piece of the same name in the University of Michigan Press collection The Wire: Race, Class, and Genre, edited by Liam Kennedy and Stephen Shapiro (2012). Unlike last week’s commentator Joe Spillane, Carlo has actually watched The Wire. In his commentary on the DVD version of episode one of the first season of The Wire, David Simon notes that it was Ed Burns who wrote Detective Carver’s line about why the war on drugs isn’t really a war: “Wars end.” Simon says that Burns is “entitled” to have written it after having fought in two losing wars, first as a soldier in Vietnam and then as a police officer in the war on drugs. The collapsing New Deal order spent much of its remaining force in these pyrrhic struggles. When I talked to some of the creators of the show in 2008, they were explicit about their interest in this historical and political big picture against which they set The Wire’s action. Whatever kind of liberals they were, they were also professional tellers of crime stories. I want to outline how those two elements, an ideological disposition and a craft expertise in genre fiction, came together in The Wire. In the last third of the twentieth century, the war on crime and its subsidiary war on drugs claimed so much ideological real estate that it pushed dissenters to a margin occupied by bleeding hearts, stoners, libertarian cranks, and hairsplitting lawyers for the defense like The Wire’s own Maurice Levy. Urban liberals, especially, were squeezed into a tight corner by compulsory universal conscription in the war on crime. In 1993, the columnist E. J. Dionne identified a solution to the problem, urging streetwise urban Democrats to emulate the detective lieutenant played by Telly Savalas. They should become “Kojak liberals,” “tough as nails” but with “a heart of gold.” That meant going back to doing the “things that local government knows how to do—putting cops on the street, picking up the garbage, keeping libraries open and the parks clean”—and getting out of the business of doing “things it doesn’t know so much about,” like providing social service programs to correct for distributive inequities. Crime, Dionne assumed, should always come first on their list of issues to address. Like defense in wartime, law and order was prior to all other concerns. Kojak liberalism seemed like a way for refugees from the collapse of the New Deal order to function in a political climate that required any realist to enlist in the war on crime, but it turned out to be a trap. Making war on crime was not simply one item on a list of things that cities could do well; it increasingly shaped federal urban policy, and also state and local responses to any other item on the list. For example, stiff mandatory penalties for even low-grade drug offenses put more adults in jail, taking them out of the regular work force and making it harder for them to help support families, which in turn helped to put more kids on the street, a problem to which the state would respond with law-and-order measures rather than social services, and so on—a cycle that increased demands on governments less and less able or willing to provide services other than policing and incarceration. “Zero tolerance” approaches to getting tough on crime might feel like a decisive response to lawlessness, but they also ensured that there would be a limitless supply of asses to kick and names to take. The war on crime also played out in the America imagined by Hollywood. In the crime-story boom of the 1970s and 80s, the police procedural’s great subject was street policing, the day-to-day business of managing informants, working a beat, shadowing suspects, and otherwise exploiting intimate knowledge of the lay of the land (hence the standard climax of the period, the chase through streets and alleys, with wah-wah pedal and woodblock accompaniment). This was especially true of the depiction of the war on drugs within the larger war on crime. 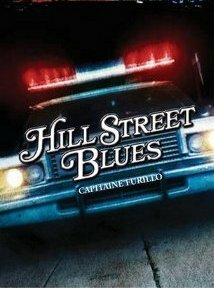 William Friedkin’s influential synthesis of documentary and classical Hollywood styles in The French Connection (1971), a fictionalized account of a landmark NYPD heroin case, set the template for scores of movies to come, and also for TV shows like Kojak, Police Story, and Hill Street Blues and its pluralist-ensemble cousins—all of which used street policing to explore the tenuous viability of a social contract frayed by serial urban crises. There was also a competing head-busting, shoot-‘em-up variant, action fantasies on the Western-derived model of Dirty Harry—SWAT, for example, or Hunter—in which summary justice was visited upon punks and psychos. The two strains of fictional street policing, which you might think of as “left” and “right” parts of a greater whole, imagined the war on crime as a series of engagements fought in an evocatively detailed urban landscape, with a social cost measured in casualties among the police and the policed. In the 1990s, interrogation took center stage. NYPD Blue, Law and Order, and other police procedurals turned a greater part of their energy away from mapping a richly imagined street and toward the drawing-room dramas of “the box,” as the interrogation room is called. In the box, police officers proved their virtue and efficacy by creatively working around the rights of suspected criminals—lying to them, allowing them to believe things that weren’t true, preventing them from lawyering up, threatening them, beating them up. The box was not a new element of police procedural, but it acquired new importance in the genre in the century’s last decade. In Learning to Live with Crime (pp. 49-60), Christopher Wilson links the rising presence of the box on TV to changes in the management of real police work—including diminished resources, greater managerial oversight of detectives, and the renewed focus on clearances-by-confession occasioned by the CompStat style of statistics-driven law enforcement—but he also acknowledges the box’s telegenic qualities. It’s a convenient space in which to stage the confrontation between highly focused state power and a pandemic criminality that shelters behind the rights of individual citizens. 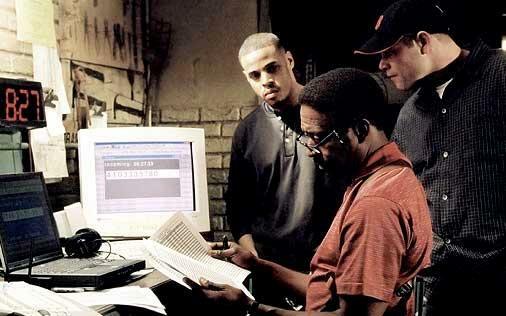 The Wire effected a fresh formal and thematic synthesis by framing street policing and the box with a third element, the wiretap, which foregrounded structural analysis as both theme and aesthetic. If street policing is about the social contract and the box is about individual rights as an obstacle to law and order, then the wiretap is about piecing together the relations of power that shape the city. The wiretap, too, had been around in the genre for a long time, but until The Wireit had not been fully exploited by police procedurals as a way for an investigation to peel away layers of surface crime to open up the strata of deep crime, turning an account of police work into a dissection of social and political order. In The Wire, structural analysis subsumes street policing and the box, so that even the cleverest bit of streetwise technique or interrogation trickery becomes implicated in the larger account of what’s most deeply wrong with the city. Jump-outs, raids, chases, box gimmicks, and the like may be lots of fun to watch, but they’re also Kojak liberalism at its most futile. Hauling in corner boys and dope fiends on minor charges and then trying to sweat confessions out of them is a sisyphean waste of time and resources for The Wire’s cops. It’s make-work dumped on all of them as a result of their superiors’ embrace of the police equivalent of the U.S. military’s obsession with body counts during the Vietnam War. And, worse, the kind of low-level arrests that result from such make-work—the tangible product of all that thrilling action the genre provides in both fictional dramas and reality shows—can actually interfere with the laborious, research-intensive piecing together of workable cases against drug kingpins and their allies situated well off the street in the upper reaches of the city’s power structure. Viewers can momentarily lose themselves in the familiar adrenaline rush that comes with lights-and-sirens and screeching brakes and drawn guns, just as they can lose themselves in the pleasures of the box, but The Wire relentlessly returns them from this fugue state of genre joy to the sobering realization that the standard methods of waging the war on drugs are only making worse the problems the war is nominally supposed to address. ← Previous Post Medieval Drugs III: How Do I Drug Thee? Let Me Count the Ways.